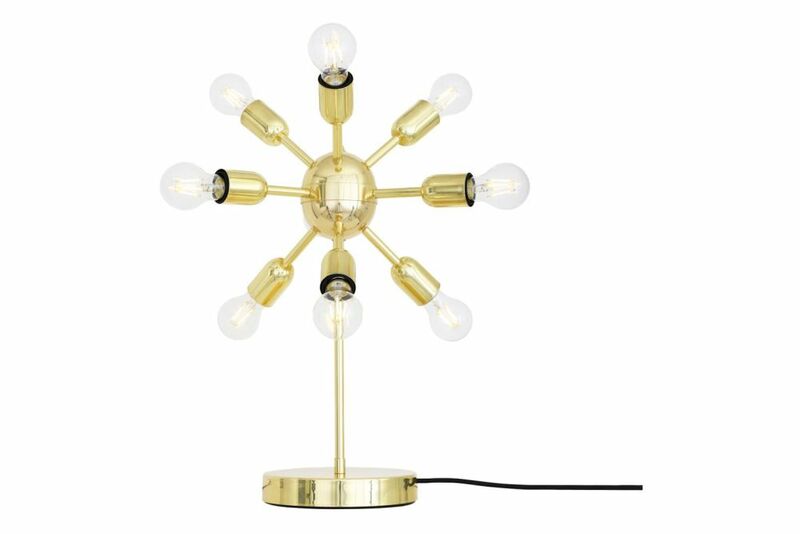 The Glenties Table Lamp is a distinctive sputnik table lamp with 10 arms radiating from its brass centre. Perfect for hotels and restaurants, the Glenties Table Lamp features 10 brass sleeves that radiate from the table lamp's central sphere. Each brass sleeve holds a brass lamp holder. The central sphere is attached to a solid brass base by another vertical brass sleeve.